With coconut & honey. No added palm oil, salt and refined sugar. Suitable for vegetarians.Our roasted hazelnuts are blended together with cocoa powder, pure coconut and a dash of honey for a delicious indulgent taste. 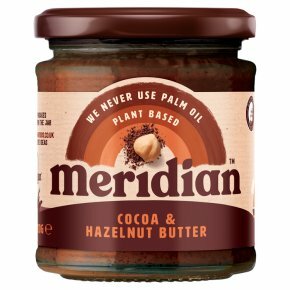 Uses Delicious spread on toast or add to smoothies, cakes and bakes or simply with just a spoon, as part of a varied and balanced diet and healthy lifestyle. Coconut oil separation is natural because we don't use palm oil Stir me up!